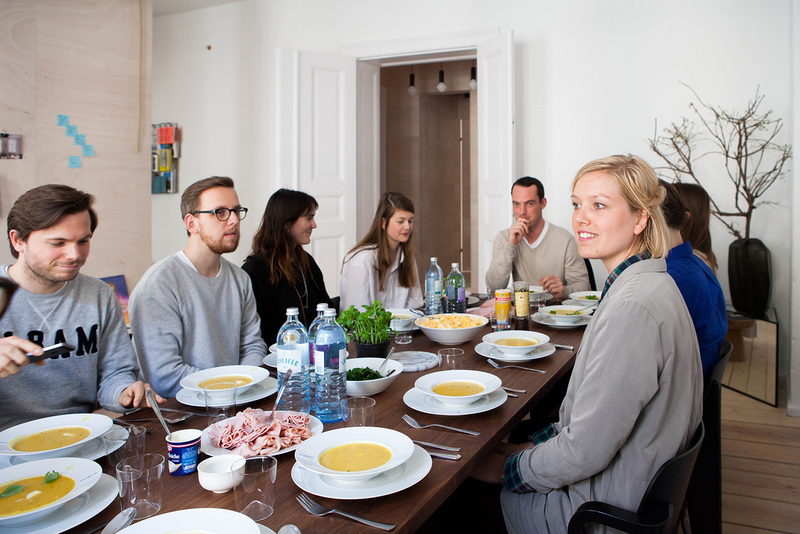 (EN) In our second installment of the FvF Cooks Team Lunch series we went with a theme: Belgium. While mussels and waffles might be what first springs to mind FvF’s Katleen and Moresleep‘s Yoannis, who are both Berlgium born, kept it fresh and seasonal whipping up Asperges à la Flamande and Yellow Paprika Soup: A colorful and tasty menu that sums up the very best spring has to offer with quality ingredients supplied by our good friends at allyouneed. 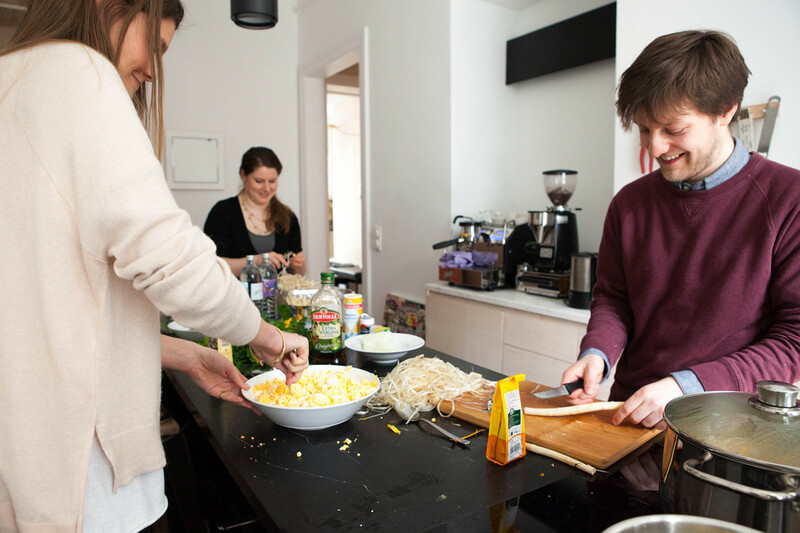 We take you through a step by step guide of our delicious meal enjoyed in the FvF Apartment listing the recipes for both courses for you try for yourself at home. Use kitchen paper to cover an oven plate with olive oil and lay the peppers, face down. Place in the oven to grill and remove once they are brown and slightly burnt. Let the peppers cool and then remove the skin. 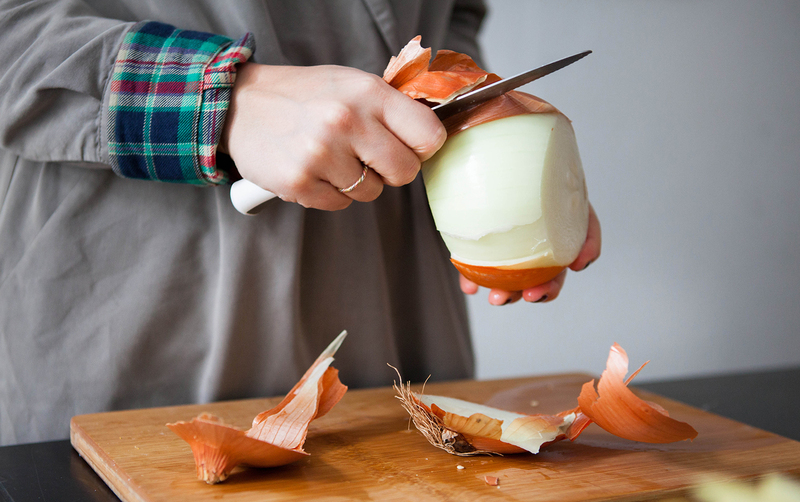 Fry a diced onion in a pot with a little olive oil. 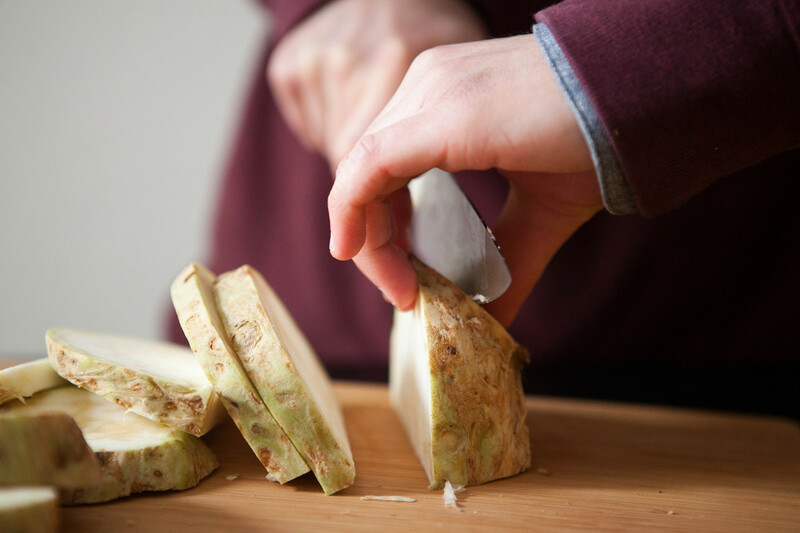 Once the onion starts to become transparent place cut and peeled celeriac in the pot with a little water. Tear the peppers and add them to the pot. Don’t forget to add the juice and oil from the oven plate and a bit of water, depending on the quantity of soup you want. Add a block of vegetable stock, some grated nutmeg and one or two bay leaves to the pot. Let the soup cook for about 20 min. (EN) Once all vegetables are well-cooked, take out the bay leaves, add pepper and salt and mix through. 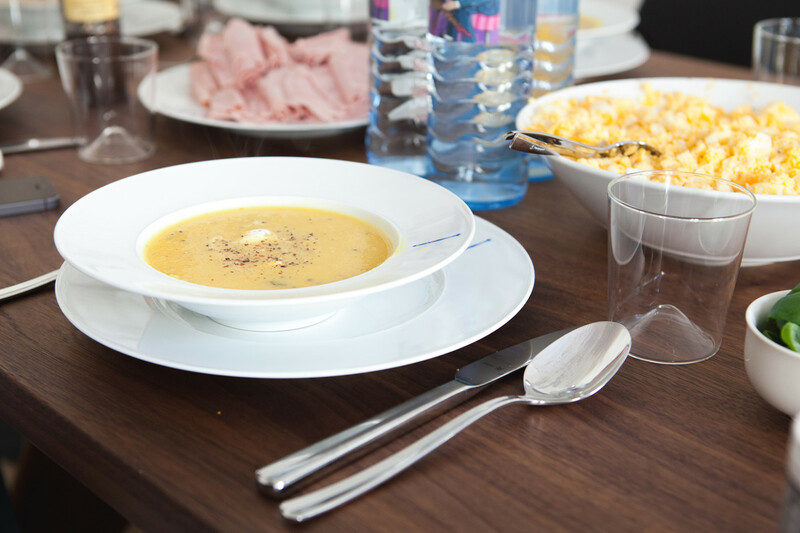 Serve the soup in a bowl and add a spoon of crème fraîche, two or three basel leaves and small pieces of smoked salmon or Italian ham. Peel the asparagus. Yes – we all love it. (EN) Fill a pot with cold water and add a pinch of salt. Place the peeled asparagus in cold water and heat the pot over low heat. Turn off the heat as soon as it starts to boil. (EN) Test: the asparagus should be crisp, yet soft enough to nibble. Spoon the asparagus from the water. Drain on a clean kitchen towel. For this dish you need clarified butter – the white milk solids have to be removed from the melted butter. Put the farm butter in a pot and let it slowly melt over low heat. Once the butter has melted, the milk residue will float. Scoop it out gently with a ladle. Keep the hot clarified butter on a very low heat. 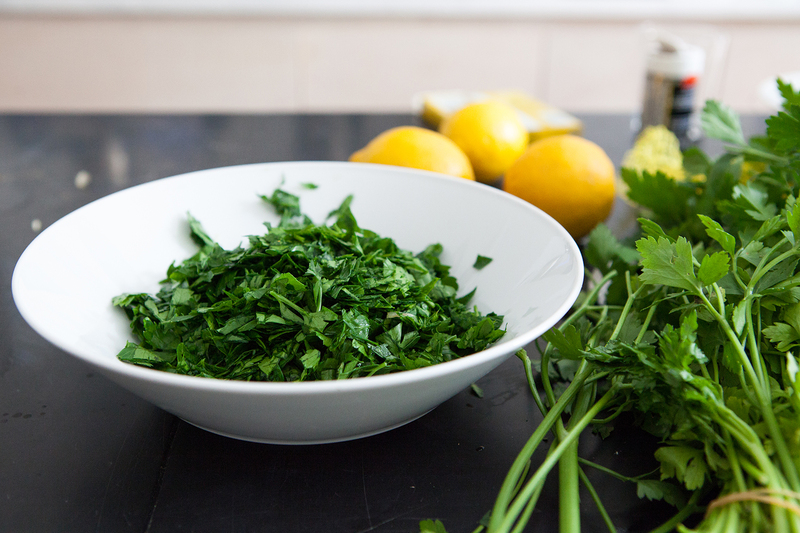 Wash the parsley, drain and cut off the stalks. Finely chop. Bring a pot of water to a rolling boil. 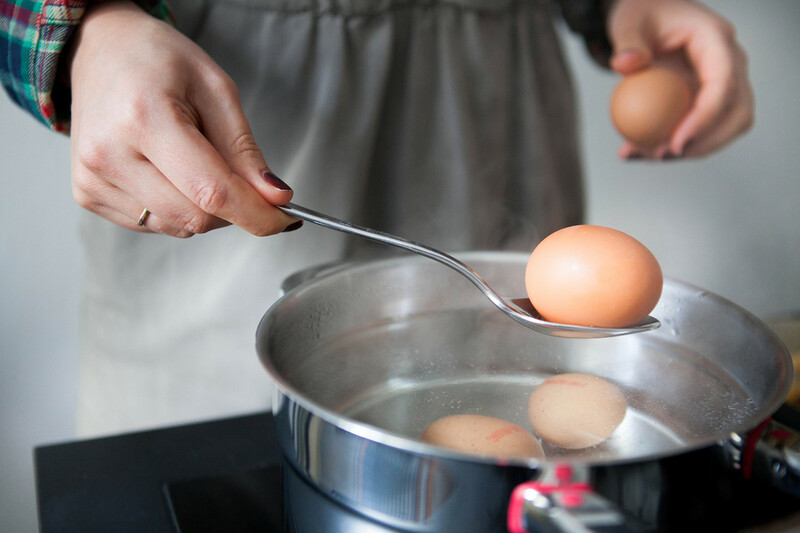 Put the eggs into the boiling water and boil for 9 to 10 minutes. 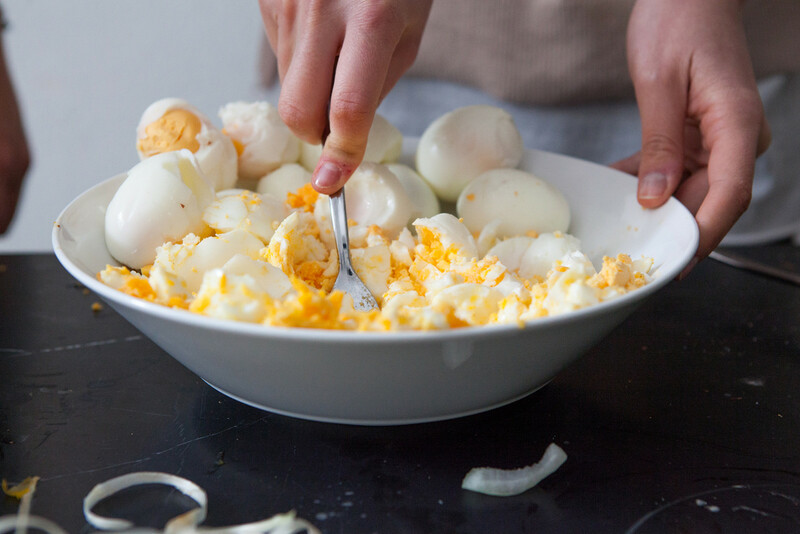 Peel the eggs and put them in a mixing bowl. Crush them with a potato masher to mimosa. 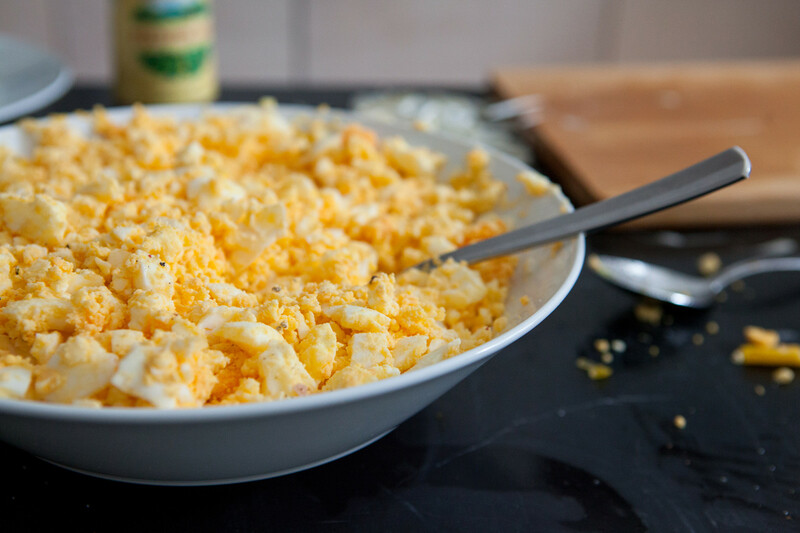 Do not make a puree, make sure to you have fine pieces of egg. Spoon the mashed eggs in the warm clarified butter. Include a generous portion of shredded parsley and mix everything together. Grate nutmeg over the mixture, along with a pinch of salt and some pepper mill. Add a dash of the asparagus water. Mix one last time and trial. Serve warm asparagus on a board and spoon a serving of the egg mixture with clarified butter and fresh parsley. Serving suggestion: Accompany the asparagus with a side dish of freshly cut potato wedges from the oven. 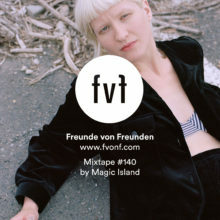 (EN) This article is part of “FvF Cooks” – a selection of monthly inspiring and healthy meals and snacks by a range of FvF guests, contributors and industry experts.